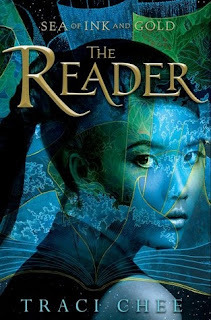 I've had The Reader on my "to read" list for about a year now and I was finally able to sit down and dive in just recently. This novel DID NOT disappoint! What a great debut novel for Traci Chee! I loved the twists and turns in the plot as well as the changes in point of view. It was interesting to get to know the different characters' personalities and see the same story from a different perspective. The novel follows our leading lady Sefia as she attempts to find answers about her family and rescue her Aunt Nin. She begins noticing she has strange abilities and has to learn how to manage those abilities and use them on her quest. I loved Sefia's "never give up" attitude and I thought she was a brilliant and strong character. She stumbled across some other amazing men and women on her journey and I quickly fell in love with her travel companion Archer. All of the characters and settings were described so beautifully and I could picture them perfectly while I was reading. There were a few slow portions in the middle of the novel, but not enough to keep me from reaching the end of the story. The last quarter of the book was full of intense action and world building, and I can't wait to see where Chee takes Sefia and Archer next. 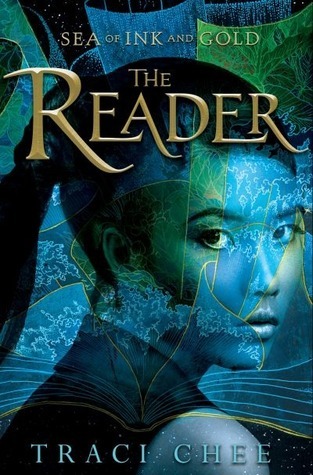 I would highly recommend this novel to readers who love action/adventure YA novels! Thank you to Penguin Teen and Putnam for sending this novel in exchange for and honest review. I look forward to the release of the second novel The Speaker on November 7th!